Whether you’re the president of a growing business, or you just want to learn enough to become one in the future, the President’s Day month offers ample opportunity to learn important skills while building your professional network. What it is: The 15th annual CWBS conference brings together more than 300 professionals each year to hear presentations covering a variety of business topics, including financial, tech, consulting, fashion, and entrepreneurial topics. Why it’s worth attending: In addition to a key-note address by the youngest New York Stock Exchange equity trader, this conference provides an opportunity to network with each other, along with female leaders in a variety of industries. Participants receive a goodie bag, and a chance to win a raffle prize at the end of the event. Cost: $9 for early bird tickets purchased before January 21. General admission price is otherwise $12. What it is: This summit promises to provide you with knowledge that you need to achieve marketing success, through presentations by expert panels and solution providers, and it provides information about tools for marketing within an idea-sharing and community-based setting. It also provides ample opportunity to network with other attendees. Expect to leave inspired. Why it’s worth attending: An opportunity to meet marketing influencers in a variety of organizations while gaining valuable information about marketing and tools. What it is: An evening of inspiring conversations and networking with like-minded professionals, exploring the many changes in technology that affect how we live, how we connect with each other, and how it disrupts the way we work. Why it’s worth attending: Explores how we can bring HR and technology together to leverage technology and innovation. This understanding can help attendees visualize the workplace of the future and take advantage of the where HR is headed today. What it is: Business-to-business networking event, trade show, and conference intended for business owners, entrepreneurs, start-ups, and decision-makers, including individuals who are considering starting a new business. This is one of 17 such expos hosted in major cities across the U.S.
Why it’s worth attending: Provides over 25 business workshops and seminars focusing on growing your business and informs you about cutting-edge products and services. Also offers opportunities for networking with thousands of businesses, entrepreneurs, and start-ups while providing fast-paced networking sessions to speed up the process of making new contacts. Attendees can leave the show with a wide array of qualified and targeted sales leads. What it is: A networking mixer that focuses on the future of finance, from banking to the block chain and beyond. The future of finance is more open and exciting than it’s ever been, and this event allows you to become familiar with many possibilities that you might consider for your business. What it is: A session that explores the complexities of working with products across the physical and software arena. Attendees will learn how project managers bring ideas and concepts to reality, work with multiple teams, and how they keep improving products until they reach consumers. Why it’s worth attending: Participants will learn how project manager responsibilities differ between large and small businesses, explore the skills needed to succeed at large vs. small companies, and identify which environment might be most suitable for them. What it is: A 3-hour mini-conference that is intended for recruiting and talent acquisition leaders who want to explore new directions when facing the challenges of employing talent. Why it’s worth attending: This seminar explains the concept of employer branding, presented by five of Chicago’s best professionals in this arena. It looks beyond the budget to learn how to approach problems and gain ideas that can be immediately used to support recruiting and hiring efforts. What it is: A three-hour educational program on building high performing cultures. Breakfast is included. What it is: An opportunity to select an idea that you want to pursue or a problem that you want to solve through a weekend of teamwork and mentoring. Attendees will also help others reach the same objectives. Why it’s worth attending: Whether you want to pitch a new idea or problem to solve, or if you choose just to help others, you will gain practical experience that you can use moving forward. Ideas and issues can span social, educational, financial, environmental or other issues. Give and receive valuable feedback and iterate, and don’t be surprised by directional changes along the way. The event includes seven full meals, one-on-one time with mentors, and the chance to develop a new network of developers, designers, and entrepreneurs who are ready to change the world. What it is: A diversity recruiting event that targets some of the most gifted women in tech, including software developers, designers, and product talent. Why it’s worth attending: After diversity talks, the event is followed by five-minute rapid interviews to keep things engaging and fun. Candidates are by invitation only to help ensure solid work histories or backgrounds. Companies, represented by men and women, are encouraged to bring materials needed to share information about their technologies and projects through laptop media, along with banners, marketing materials, and swag. What it is: A one-day event that combines learning and action through a choice of sessions in the areas of professional growth, community and civic leadership, and personal balance. Why it’s worth attending: Provides an opportunity for positive change by educating and connecting young professionals with influential business leaders, the community, and each other. Awards are presented during the summit luncheon. What it is: An event that brings marketing, media, and technology professionals together from more than 50 countries. Attendees can develop a deeper understanding of tools, strategies, and tactics needed for advancement in social media and digital marketing. Why it’s worth attending: In its third year, the theme of this year’s event will be “Stories” that can touch and inspire. More than 100 speakers will share ideas and actionable insight. 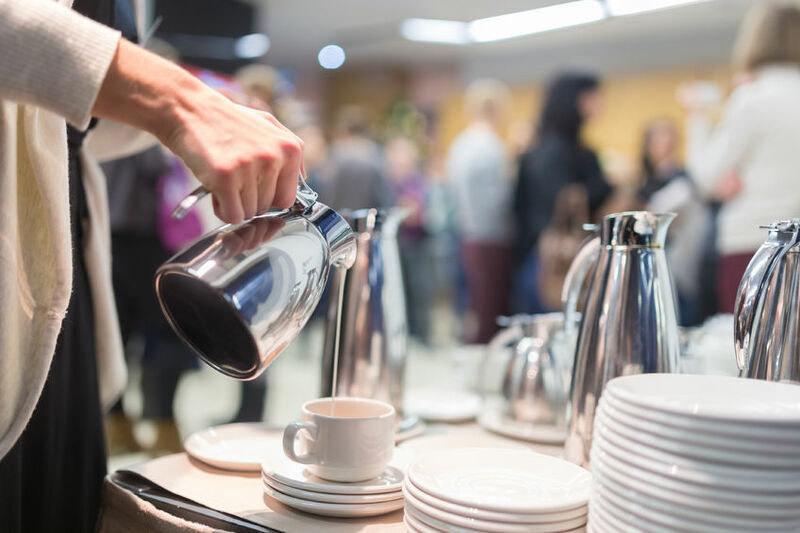 Badges include access to keynote speeches, panel sessions, masterclass workshops, expert “office hours,” daily networking coffees, and nightly happy hours. Bring your laptop and charger, phone charger, and lots of business cards to make the most of the experience. Public transportation is recommended, but check out parking options at the site before you drive to the campus. What it is: Taking place in 43 Business Journal markets on the same day, this event brings women together in a casual, fast-paced coaching atmosphere. Why it’s worth attending: Provides an opportunity to choose from an impressive list of mentors, and meet between one and seven of them while also networking with each other. Attendees will find the fast pace fulfilling while they get a chance to meet new people and gain new insights. What it is: A two-day conference with an optional pre-conference interactive workshop day covering key internal branding and employee experience issues, challenges, and successes. Why it’s worth attending: This event provides a one-track learning environment designed to provide attendees with open, interactive discussions on key internal branding and employee experience issues, challenges and successes. Interaction with the speakers is encouraged as they share their advice on how they overcame their biggest challenges. Those who choose to attend the pre-conference workshops will get hands-on training while closely exploring the topics that mean the most to them. Each day includes breakfast and snacks.